It's the Summer Of Super! Damian Wayne and Jon Kent are back this month in an all-new miniseries from Peter J. Tomasi. 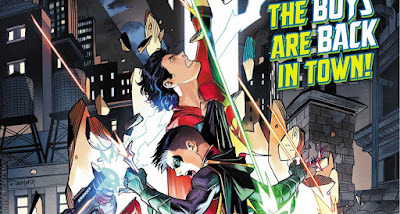 In Adventures Of The Super Sons #1, fans will find themselves treated to an epic dual storyline that explores the lost and secret adventures of the sons of the DC Universe’s greatest heroes. The debut issue sees the start of summer vacation, but just because school is out doesn't mean that Damian and Jon are off duty - especially when they suddenly become the unsuspecting targets of a mysterious group of interstellar youngsters calling themselves The Gang. Who are these new badasses? What exactly do they want with the Super Sons, and why do they resemble some of the most notorious villains from throughout the DC Universe? These are just some of the intriguing questions that the creative team behind Adventures Of The Super Sons look to answer over the course of the next twelve issues, and we're certain that fans of the blooming bombastic bromance will get a real kick out of this fresh, fun new miniseries. It's goofy, upbeat and sure to leave you smiling as The Odd Couple of the DC Universe kick off another summer of super surprises and epic adventures. Not only is Peter J. Tomasi's story a fun one, but it is complemented by some seriously super art from the likes of Art Thibert and Carlo Barberi that perfectly captures the reckless, and carefree days of youth - with a healthy sprinkling of superheroing to boot! 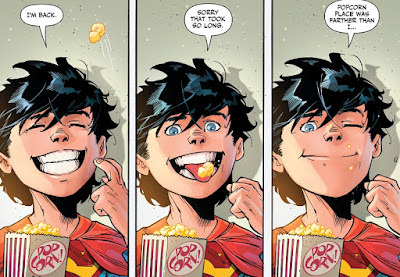 One issue in and we can already say that Adventures Of The Super Sons looks to be a joyous and fun-filled bit of fanfare! Sure, it doesn't look to take itself too seriously, but it's bright, brash and big on the charm - and in this case, it's exactly what we need! 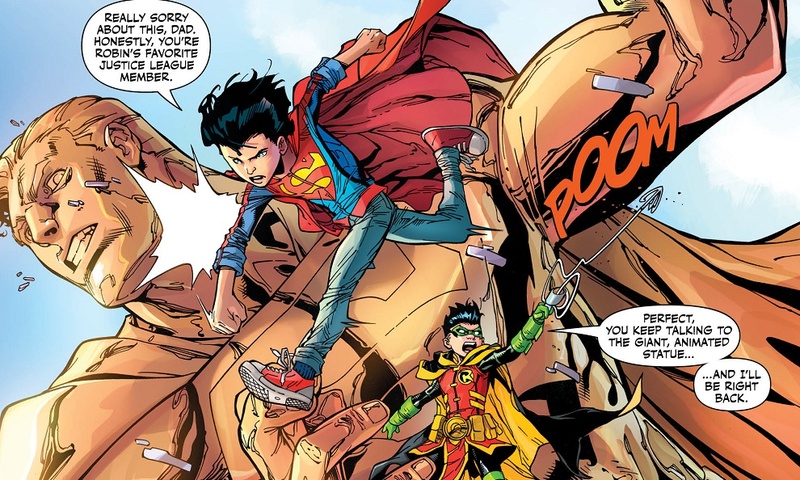 Adventures Of The Super Sons has kicked off on a strong foot, and we can't wait to see where the team takes Damian Wayne and Jon Kent over the next few months! Because, wherever it is, we're certain it's going to be a fun ride worthy of the Summer Of Super! Rating: 5/5 - "Goofy, light and brimming with charm, Adventures Of The Super Sons is a fun-filled glimpse into the biggest budding bromance of the DC Universe." Adventures Of The Super Sons #1 arrives on newsstands today! If you're looking for something light and charming, then look no further and grab this debut book today!